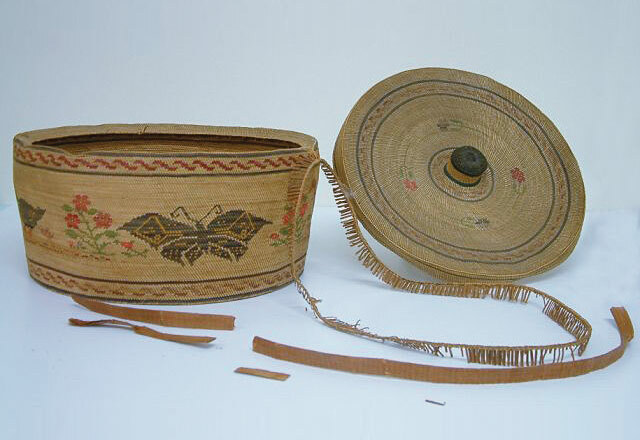 Before Treatment: Cedar rim is detached and broken and the basket has some tears. 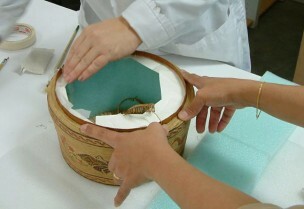 After Treatment: The rim is repaired and areas reconstructed. 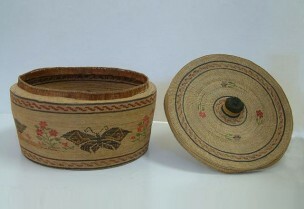 The basket has a soft mount insert. 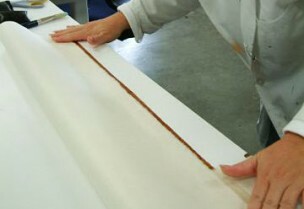 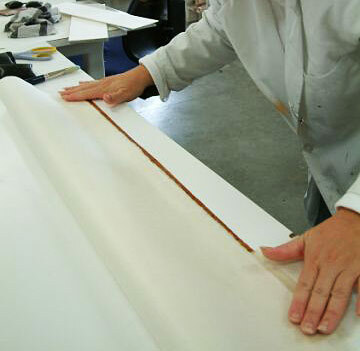 During Treatment: The paper conservator prepares a tissue rim repair. 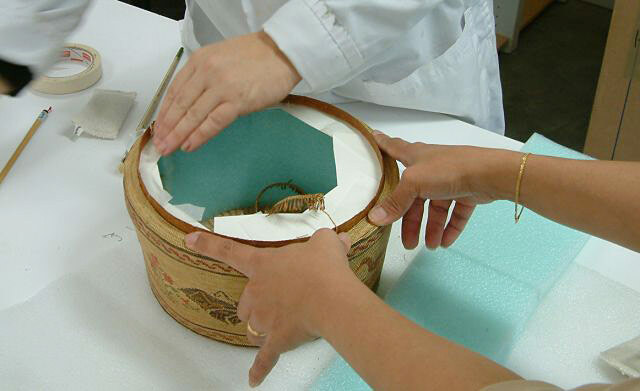 During Treatment: Objects conservators repair the rim.